February 12, 2008. The National Center for Patient Safety (NCPS) of the Department of Veterans Affairs (VA) implements text mining technologies to enhance the analysis of patient safety reports. The VA NCPS analysts are utilizing the PolyAnalyst™ data and text mining system from Megaputer Intelligence to detect common patterns, identify emerging trends, and determine root causes of issues in patient safety reports received from the 153 hospitals operated by the VA. 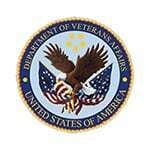 The goal of the VA NCPS is the reduction and prevention of inadvertent harm to patients as a result of care. To accomplish this goal, the VA analysts strive to learn from safety reports representing close calls, also known as “near misses,” which occur at a much higher frequency than actual adverse events. This approach focuses efforts on continually identifying potential problems and proactively fixing them to improve patient safety and quality of care. The most informative part of a safety report discussing both the issue and its possible causes is the narrative. In order to perform timely and efficient analysis of large collections of text narratives, the VA requires a text mining system capable of solving text clustering and categorization tasks, detecting emerging patterns, and summarizing results in a user friendly format. The VA found these capabilities available in the PolyAnalyst data and text mining system. PolyAnalyst is now one of the main analytical tools used by the VA NCPS analysts on a daily basis for handling text analysis tasks. The application of text mining tools is an innovative and promising technique for performing patient safety data analysis. PolyAnalyst enables the VA NCPS to successfully overcome the shortcomings of traditional manual analysis of the patient safety report narratives: slow processing, low accuracy, and potential bias. Text mining helps the NCPS analysts derive new insights from the same natural language text data, link the results of text categorization with available structured data fields, and automate a good deal of the routine steps involved in the typical data analysis process. The NCPS was established in 1999 to develop and nurture a culture of safety throughout the Veterans Health Administration. Our goal is the nationwide reduction and prevention of inadvertent harm to patients as a result of their care. Patient safety managers at 153 VA hospitals and patient safety officers at 21 VA regional headquarters participate in the program.